I Try to keep adding to this site about my interest and tips etc regularly, but unfortunately the last few months I have been so busy with my work I really haven’t had the time or the inclination to write articles for the site, even though I have so many ideas to get down. 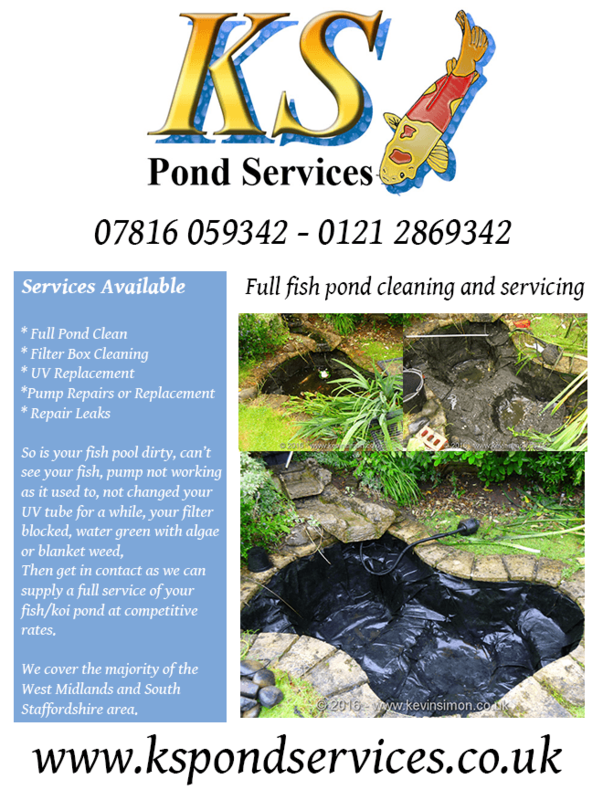 For anyone new to this site I run to different businesses one is IT support and Web design, but my main income at this time of year is servicing and cleaning of garden fish ponds. My late father started this business over 30 years ago and about 8 Years ago I took over the business. It is a very physically demanding job, but I really enjoy it. Though I have suffered from tennis elbow for the last 3 years, which I have had serious injections but constantly on pain killer which take the edge of the pain, but just have to get on with it. If you are in the Midlands and are interested in any of the services I can supply see my business link in the menu at the top. So today I have had a day free from onsite jobs, so after sorting out my paperwork etc, I have been able to sit down and start writing the articles I really want to share. 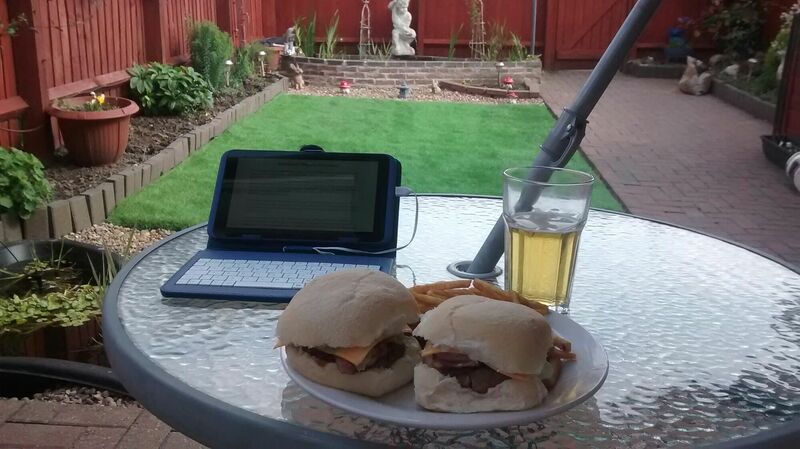 To make it better the weather today has been great so I have been able to sit outside and type away while listen to a few audio books. Before typing this one have got several articles done, just got to edit the photos to go with them, but that would mean going inside, so opted just to keep writing. I have got articles wrote on little personal projects I have done, including ones for in the garden. Which this year we have really improved the garden as we always have a problem with drainage in the back garden, as our house the kitchen, bathroom toilet is at the front which means at the back there is no mains drain, I have done several soak aways which does help, but about a foot or so deep the soil is just clay so this again doesn’t help with drainage. So this year have made the soak away bigger and also replaced the lawn, which unfortunately as we have a dog, when she wees on the grass it kills it so the grass was very patchy. So we have put artificial grass in, which is amazing s even after it has been raining you can walk on it. Will be adding details about this soon. I have also got some reviews to do, and tips on both garden ponds as well as tech including phones etc. On a last note I have been now smoke free for 6 days, I have tried in the past giving up the fags, but this time I really want to succeed. I am using e cigs as a way of getting my nicotine fix, though not using it that much, was bad on about day 3, but not given in and I will stay strong as already saved over £30, so will be treating myself to something after 2 weeks though not sure what yet. Well that’s enough from me to all my readers hope you have a great bank holiday and if you like what you have read, please follow me for updates see below.